You might have been exposed to the idea of Lunchtime Learning before. Sometimes called Brown Bag Training or Lunch ‘n Learn (beware – that’s a trademarked phrase! ), it’s a short (45-90 minutes) learning session held during lunchtime. Topics for these sessions can be work-related, health-related, or absolutely unrelated to the work of the organization (like the time my photographer brother led a session at my employer about improving your family and vacation photo quality). Okay, what’s so special about these Brown-Bag Sessions, you say? Here’s my suggestion for ratcheting them up to significantly increase their value to your organization and staff: Have employees do the teaching, not just the learning! You don’t have to hire outside trainers, pay big experts, or even beg favors of consultants and professionals to come into your workplace to hold free lunchtime workshops. You have tons of experts and teachers right in your midst, by way of your employees. If you want to create lunchtime learning opportunities for your employees, why not invite their colleagues and peers to lead the sessions? Employees have lots of knowledge, insights and ideas. They need an opportunity to share them more widely. For some, it’s a turnkey opportunity since they already have good presentation and facilitation skills. For others, it’s an amazing development opportunity that allows them to speak to their peers in a relatively low-pressure environment, on topics with which they have great familiarity (or about which they want to learn more), and for short durations that allow just enough ‘outside the comfort zone’ development without going into the ‘panic zone’ of full-day workshops or large or public audiences. 1. Lunch connections– community & togetherness; sometimes, the organization even provides the chow. 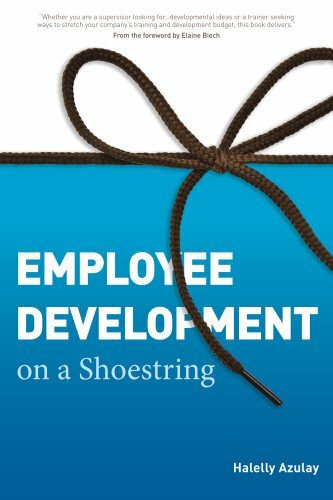 I even included a readiness self-assessment in my book to help you or your employees check their own readiness to take on this kind of development challenge. Check it out. The benefit to the employees who attend the session is pretty obvious – they increase their awareness, knowledge, and/or skills about the topic covered. · They get to practice preparing and delivering a short presentation or workshop. · They grow their own network within the organization. But organizations benefit no less from supporting this 3-way win. They increase employee development opportunities with no or low costs. They cross-train employees and connect people across different parts of the organization. In addition to numerous other benefits, organizations also create fertile opportunities for problem resolution and process improvement. Can you think of other benefits? Share them in the comments below! 1. Identify potential topics for brown-bag sessions. 3. Schedule the sessions – are they one-off sessions or a series? Face-to-face or virtual? 5. Register participants (optional – you could go low-key if you don’t plan to track learning and/or don’t have space issues). 6. Evaluate and apply improvements based on feedback. · Choose a topic about which you can be both knowledgeable and passionate to ensure maximum success. · Preparation is your key to success. Don’t wing it. What do you think – have you ever considered the third prong of the full value proposition of lunchtime learning? I’d love to hear your thoughts and experiences in the comments below!